After carillon lessons could again be held in the building on the Grote Spui in 2013, the Netherlands Carillon Center was able to take things a little easier. 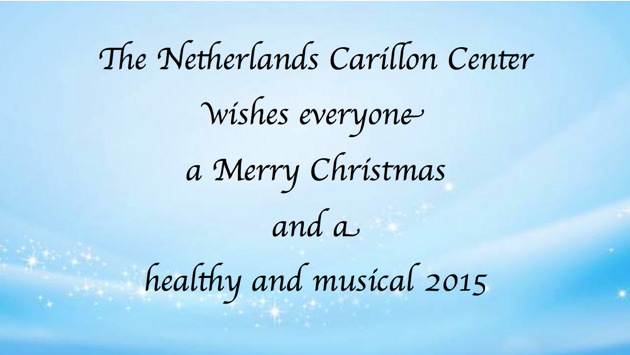 During the past year, besides the usual activities, such as publishing and selling sheet music, and organising concerts and recitals in Amersfoort, it has invested in contacts between the Netherlands Carillon School and carillon players at home and abroad. In the autumn of 2013, contacts with the Amersfoort Bell-ringers Guild were re-opened, as were those with the Municipal Authorities in Amersfoort, the HKU University of the Arts, Utrecht, and the Royal Carillon School Jef Denyn. Recently there were discussions with board members of the Dutch Carillonneurs Association, and plans for further embedding of the carillon culture in Amersfoort community life have been made. These open channels are our modest contribution to a coherent carillon network. The Netherlands Carillon Center's responsibility for the Immaterial Heritage requires good communication. beiaardschool@mechelen.be. All the participants will be mentioned in a press notice. Have a good Christmas and a peaceful New Year!